In 1993 under the Guidance of NJ Faculty and with permission of the PHTLS National Board of Directors, EMS Solutions created a database tool set which replicated all of the forms and documentation used in running a PHTLS Training Site. 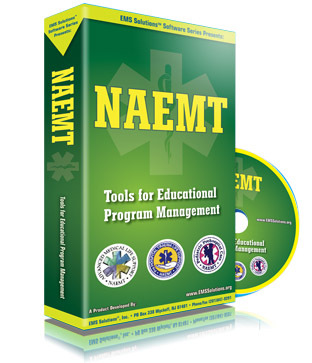 In January 2004 under contract to NAEMT, EMS Solutions, Inc. has taken this product and integrated the tools for AMLS and PPC Courses, as well. Using a special Run-Time version of FileMaker Pro, a FREE downloadable Software package was created for your use. As of 2009, NAEMT moved to a web-based solution but rest assured EMS Solutions is still working for you. We have provided and continue to support on a daily basis the back-end office management solution which runs NAEMT Membership and Education programs.